Submitted 3 weeks 15 hours ago by Maria Magdalena Razalan. Our Monthly hangout in May will take place as usual on the 7th, and again we are trying something new - we will learn about storytelling in science. Robert Lasek will tell us about using various narratives in talking about research. Please join us for this mini-workshop and a chat over a pint! Submitted 3 weeks 4 days ago by Anife Ahmedova. Members of the Bulgaria Chapter are invited to take part in the program. Submitted 2 months 2 weeks ago by SR Webmaster. On 23rd May 2019, the fifteenth edition of the BCF Career Event will take place in the Beatrix building, Jaarbeurs Utrecht. The BCF Career Event is the largest career fair for highly-educated students in Life Sciences, Chemistry, Food, and Pharmaceuticals. During this day, more than 2000 PhD students, post-doc researchers and professionals will be ready to take their next career step. There will be more than 100 organisations there to help, inspire, and offer job opportunities. Submitted 2 days 10 hours ago by Aurelia Chaise. Submitted 4 days 3 hours ago by Carlo Antonini. Do not miss the opportunity to discuss about what we care most: Research, Innovation and Enterpreneurship. 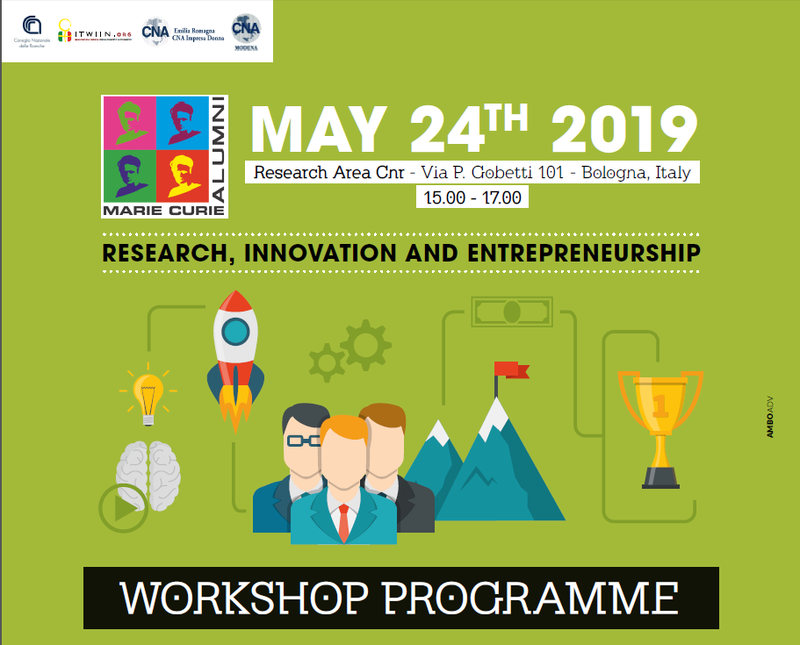 This MCAA event is hosted by Research Area Cnr (Via P. Gobetti 101 - Bologna, Italy) and chaired by Giovanna Avellis, ITWIIN President and member of MCAA GEMS WG. Special guest: Professor Piero Formica, who received the Innovation Luminary Award 2017 from the Open Innovation Strategy and Policy Group for his work on modern innovation policy. Have a look at the program and... see you in Bologna, my dear MCAA! Submitted 2 months 3 weeks ago by Elena Simona Lohan. GA March 2016 - Conference – what happened?